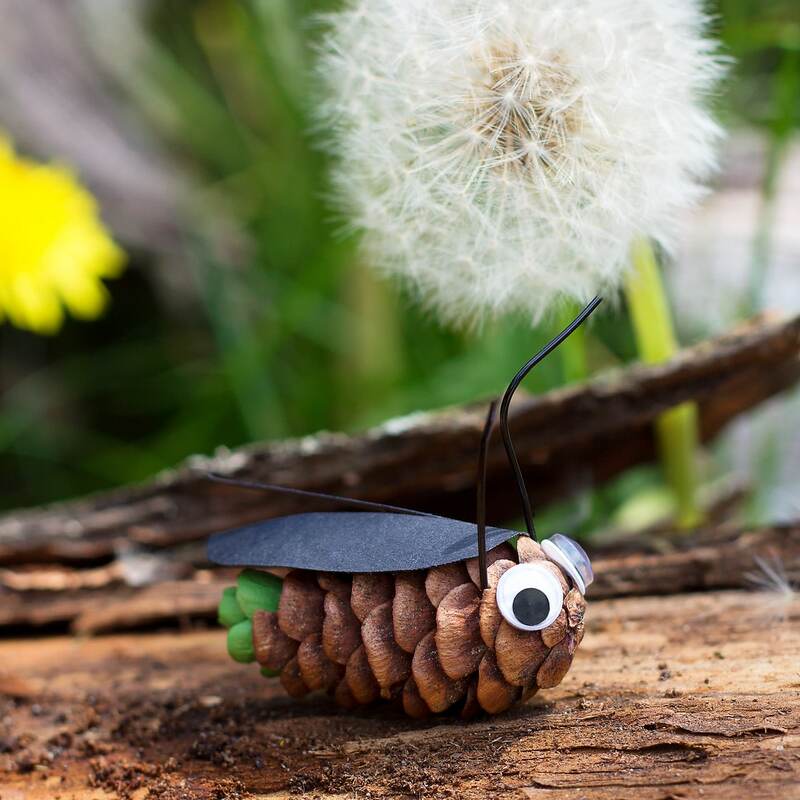 In this post, learn how to make Pine Cone Fireflies from small pine cones, construction paper, and paint. 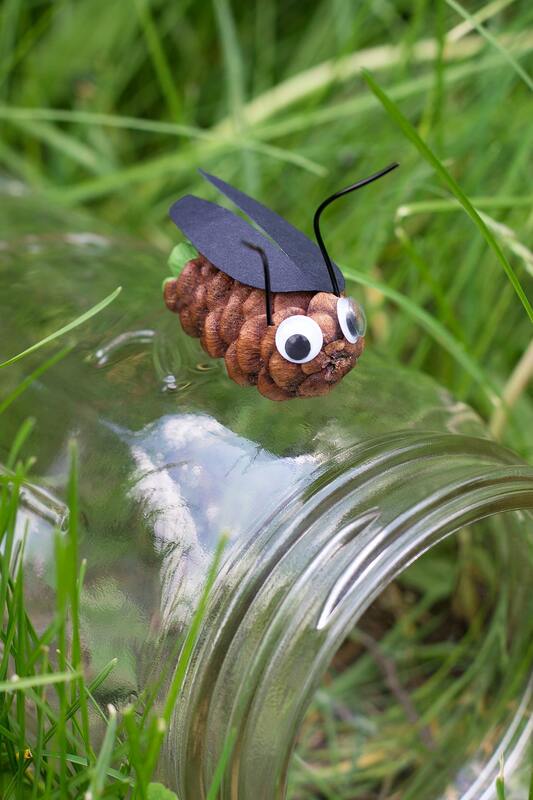 It’s an easy and fun nature craft for kids of all ages. Paint the narrow end of the pine cone with green paint. Some children may enjoy dipping their pinecones into the paint instead! While the paint is drying, cut wings out of the black paper. Snip down the center of your shape, but not completely through it. 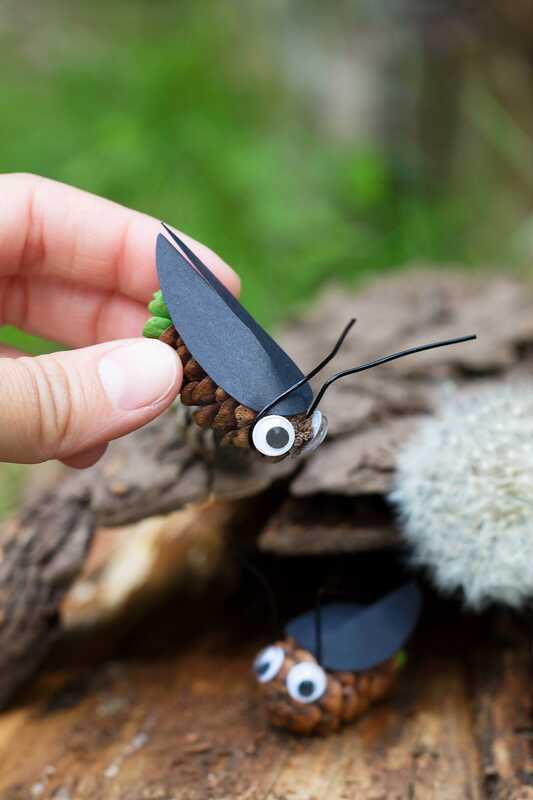 When the paint is dry, glue the wings onto the pine cone. Next, attach the googly eyes. 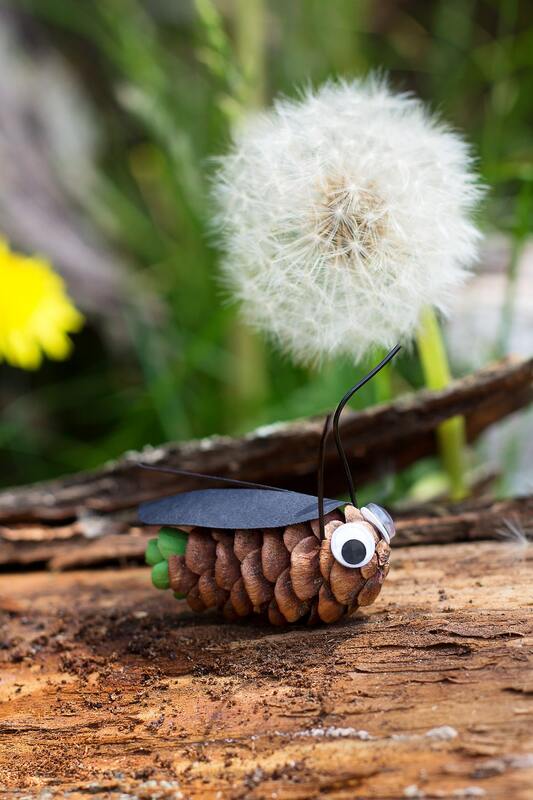 Last, bend a piece of wire around the pine cone to create antennae. My son played with his pine cone fireflies outside by the log pile. I adore the rustic abode he created with bark. Melissa is a published photographer, writer, former educator, and mother to two boys. 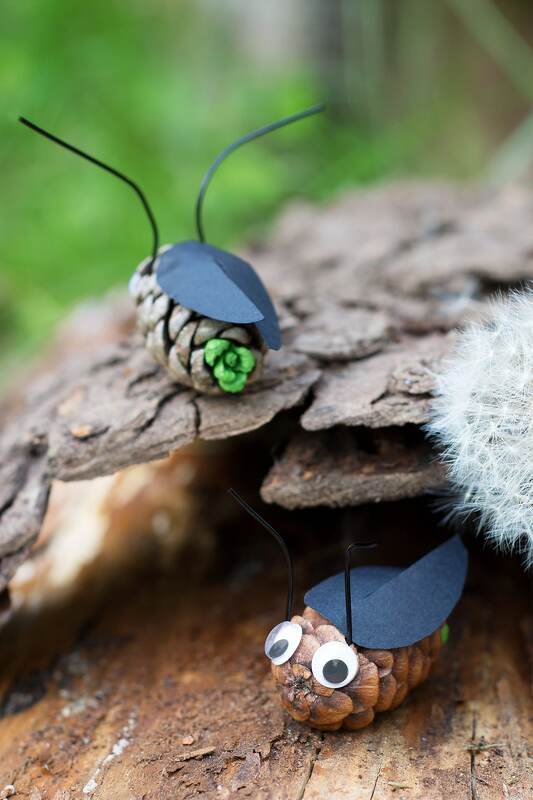 She shares her passions for nature, crafts, and family on her blog, Fireflies and Mud Pies. Her work has been featured in magazines and on hundreds of websites, including Humpty Dumpty, Jack and Jill, Better Homes and Gardens, Country Living, Today, and Newsday.